OAKLEY MOD5 MIPS SNOW HELMET - SIZE LARGE (59-63CM) Used. Condition is used. Dispatched with Royal Mail 2nd Class. Comes with spare visor. Selling off my ski equipment as I’ve wrecked my cruciate ligament and can no longer ski for fun. Please take a look at my other items. Bombshell construction. Beanie compatible. Removable goggle lock. AirEvac2 ventilation. When you're on the slopes, you don't want to be thinking about safety - but it's very important to consider it before you travel! Adjustable fit (between 58 - 62cm). Removable ear pads. Worn for around 4 ski weeks. Has screws for a chin guard,but no chin guard supplied. Condition is Used. Bolle Ski Goggles!!! BRAND NEW!!! Also Can Be Worn With Glasses Underneath!!! Bolle Ski Goggles!!! BRAND NEW!!!. Condition is New with tags. Fits child/adults as there adjustable, also able to wear glasses underneath!!! Also comes in goggle protective case! Dispatched with Royal Mail 2nd Class. When you're on the slopes, you don't want to be thinking about safety - but it's very important to consider it before you travel! Adjustable fit (between 54-58cm). Removable ear pads. Details like the removable ear pads, the Monomatic fastening system and the goggle strap holder are what rounds off this model. Monomatic fastening. Natural Sound System. Integrated ventilation system. 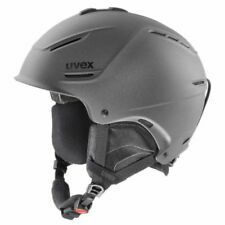 Nevica Ski Helmet. Small 50-54cm. Condition is Used. Dispatched with Royal Mail 2nd Class. Worn for 5 days last year by my son and now he’s grown out of it unfortunately. A few scuffs but otherwise in good solid condition. Please see photos. Smoke free. Pet free home. 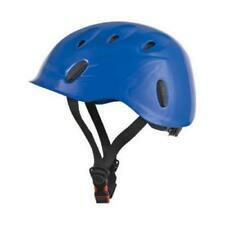 Salomon Ski Helmet Womens. Used for a 4 day ski trip. In perfect condition. Size Medium 56-59 cm. Air vents. Really nice helmet. Adjustable nozzle at the back to tighten. Warning: Do not use on a motorcycle. Hand wash with soap and water only. Adjustable visor. High contrasting colour visor. Padded support to the back of the head. Must fit well and snug. Inner padding. TRESPASS Adults Snow Sport Ski goggles. Condition is New with tags. Dispatched with Royal Mail 2nd Class. Never worn. Taken out the box for the pictures and that’s it. RRP £40. Burton / Red Youth Ski / Snowboard / Skate Helmet Size 48-51. Condition is Used. Dispatched with Royal Mail 2nd Class. Hardly used but very scratched!!! Kids helmet that has been used a couple of times for skiing, but has been pretty mistreated, great helmet for growing heads. Not adjustable so check size! When you're on the slopes, you don't want to be thinking about safety - but it's very important to consider it before you travel! Adjustable fit (between 58-62cm). Removable ear pads. Matt Black with green accents. They are waterproof, won't shrink and are very easy to apply to clean smooth grease-free surfaces. The maximum size of your stickers will be 15mm x 100mm to enable them to be placed on the visor or goggles without masking your view. Nevica Meribel Ski Helmet Girls Junior size S 50-54cm Pink. Condition is New without tags. Will come unboxed but packaged well Dispatched with Royal Mail 2nd Class. We, certainly can work around any problems that could occur. If I made a mistake I will correct it. Total Weight: 500g 30 x 30 x 7. 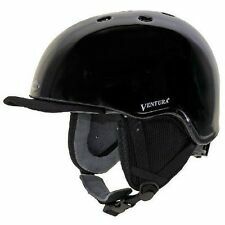 Leedom used skiing Size M helmet. Condition is Used. Dispatched with Royal Mail 2nd Class. Smith Holt Snowboard/ski Helmet Medium. Condition is Used. Taken this helmet on one ski trip, only used for 4 days. Hasn't had any impact to the ground, very light scuff Marks from being in a snow bag. 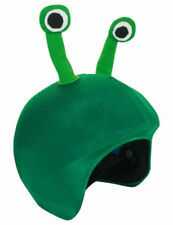 Very good helmet. Warm with good ear covers. Selling due to upgrading. M. Rucanor Ski Helmet. White with Pink flowers. Matt white with pink flowers. Goggle clip. 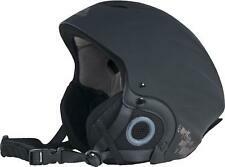 Dirty Dog Orbit Ski Helmet - Black. Condition is New with tags. Dispatched with Royal Mail 1st Class. Hardly worn, one season, more like M/L. One small scuff. 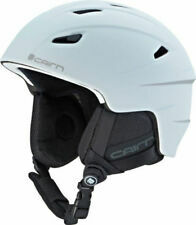 lllango Mens Ski / Snowboard Helmet 58-61cm. Condition is Used. Dispatched with Royal Mail 1st Class. 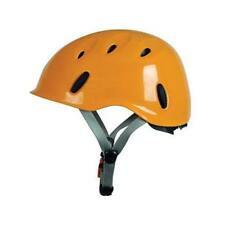 Girls CEBE Ski Helmet 54cm xsmall. Dispatched with Royal Mail Signed For® 2nd Class. New listingA ladies Salomon ski helmet. Size M - 56.5 - 57.5 cm.